M. L. Liriano, J. Carrasco, E. A. Lewis, C. J. Murphy, T. J. Lawton, M. D. Marcinkowski, A. J. Therrien, A. Michaelides, and E. C. H. Sykes The Interplay of Covalency, Hydrogen Bonding and Dispersion Leads to a Long Range Chiral Network: The Example of 2-Butanol, The Journal of Chemical Physics, 2016, 114, 094703. C. J. Murphy, Z. C. Smith, A. Pronschinski, E. A. Lewis, M. L. Liriano, C. Wong, C. J. Ivimey, M. Duffy, W. Musial, A. J. Therrien, S. W. Thomas III, and E. C. H. Sykes Ullmann Coupling Mediated Assembly of an Electrically Driven Altitudinal Molecular Rotor, Physical Chemistry Chemical Physics, 2015, 17, 31931. A. J. Therrien, A. Pronschinske, C. J. Murphy, E. A. Lewis, M. L. Liriano, M. D. Marcinkowski, and E. C. H. Sykes, Collective Effects in Physisorbed Molecular Hydrogen on Ni/Au(111), Physical Review B, 2015, 92, 161407. M. E. Blecher, E. A. Lewis, A. Pronschinske, C. J. Murphy, M. F. G. Mattera, M. L. Liriano, and E. C. H. Sykes, Squeezing and Stretching Pd Thin Films: A High-Resolution STM Study of Pd/Au(111) and Pd/Cu(111) Bimetallics, Surface Science, 2015, 646, 1. A. Pronschinske, P. Pedevilla, C. J. Murphy, E. A. Lewis, F. R. Lucci, G. Brown, G. Pappas, A. Michaelides, and E. C. H. Sykes, Enhancement of Low-Energy Electron Emission in 2D Radioactive Films, Nature Materials, 2015, 14, 904. C. J. Murphy, X. Shi, A. D. Jewell, A. F. McGuire, D. O. Bellisario, A. E. Baber, H. L. Tierney, E. A. Lewis, D. S. Sholl, E. C. H. Sykes, Impact of Branching on the Supramolecular Assembly of Thioethers on Au(111), Journal of Chemical Physics, 2015, 142, 101915. 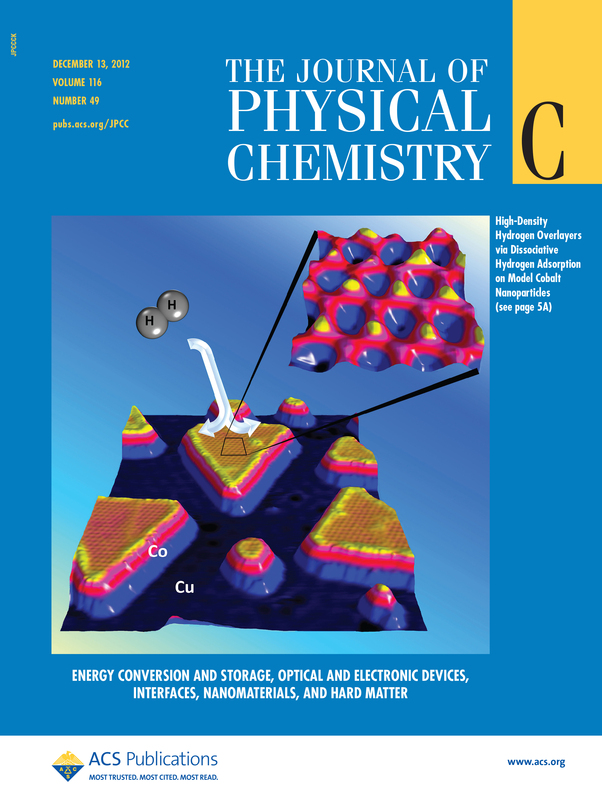 E. A. Lewis, M. D. Marcinkowski, C. J. Murphy, M. L. Liriano, E. C. H. Sykes, Hydrogen Dissociation, Spillover, and Desorption from Cu-Supported Co Nanoparticles, Journal of Physical Chemistry Letters, 2014, 5, 3380. E. A. Lewis, C. J. Murphy, A. Pronschinske, M. L. Liriano, E. C. H. Sykes, Nanoscale Insight into C-C Coupling on Cobalt Nanoparticles, Chemical Communications 2014, 50, 10035. C. J. Murphy, J. Carrasco, T. J. Lawton, M. L. Liriano, A. E. Baber, E. A. Lewis, A. Michaelides, E. C. H. Sykes, Structure and Energetics of Hydrogen-Bonded Networks of Methanol on Close Packed Transition Metal Surfaces, The Journal of Chemical Physics, 2014, 141, 014701. 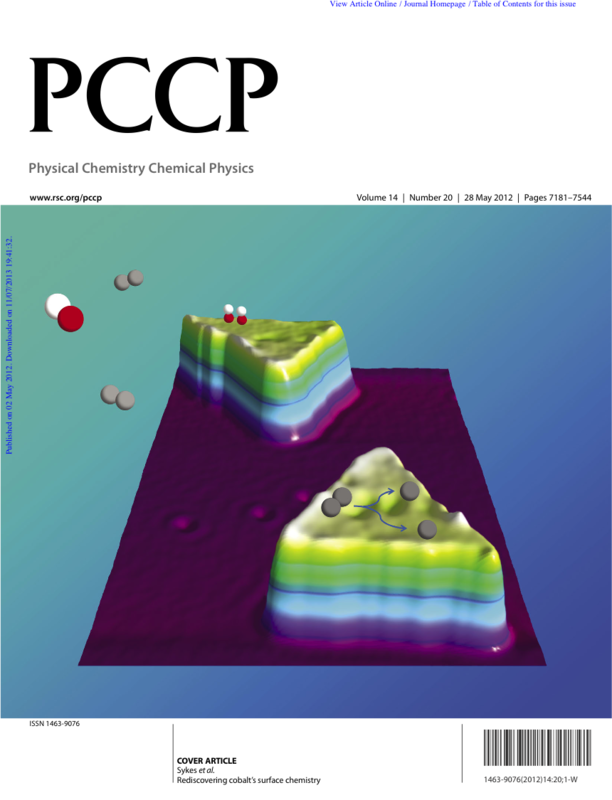 E. A. Lewis, D. Le, A. D. Jewell, C. J. Murphy, T. S. Rahman, E. C. H. Sykes, Segregation of Fischer-Tropsch Reactants on Colbalt Nanoparticle Surfaces, Chemical Communications, 2014, 50, 6537. E. A. Lewis, C. J. Murphy, M. L. Liriano, E. C. H. Sykes, Atomic-Scale Insight into the Formation, Mobility, and Reaction of Ullmann Coupling Intermediates, Chemical Communications, 2014, 50, 1006. M. B. Boucher, M. D. Marcinkowski, M. L. Liriano, C. J. Murphy, E. A. Lewis, A. D. Jewell, M. F. G. Mattera, G. Kyriakou, M. Flytzani-Stephanopoulos, E. C. H. Sykes, Molecular-Scale Perspective of Water-Catalyzed Methanol Dehydrogenation to Formaldehyde, ACS Nano, 2013, 7, 6181. M. D. Marcinkowski, A. D. Jewell, M. Stamatakis, M. B. Boucher, E. A. Lewis, C. J. Murphy, G. Kyriakou, E. C. H. Sykes, Controlling a Spillover Pathway with the Molecular Cork Effect, Nature Materials, 2013, 12, 523. E. A. Lewis, D. Le, A. D. Jewell, C. J. Murphy, T. S. Rahman, E. C. H. Sykes, Visualization of Compression and Spillover in a Coadsorbed System: Syngas on Cobalt Nanoparticles, ACS Nano, 2013, 7, 4384. E. A. Lewis, D. Le, C. J. Murphy, A. D. Jewell, M. F. G. Mattera, M. L. Liriano, T. S. Rahman, E. C. H. Sykes, Dissociative Hydrogen Adsorption on Close-Packed Cobalt Nanoparticle Surfaces, Journal of Physical Chemistry C, 2012, 116, 25868. 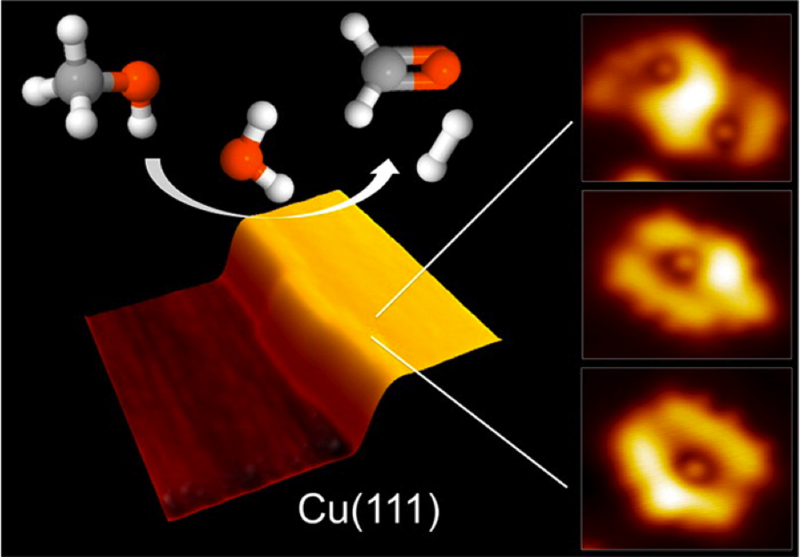 A. D. Jewell, G. Peng, M. F. G. Mattera, E. A. Lewis, C. J. Murphy, G. Kyriakou, M. Mavrikakis, E. C. H. Sykes, Quantum Tunneling Enabled Self-Assembly of Hydrogen Atoms on Cu(111), ACS Nano, 2012, 6, 10115. 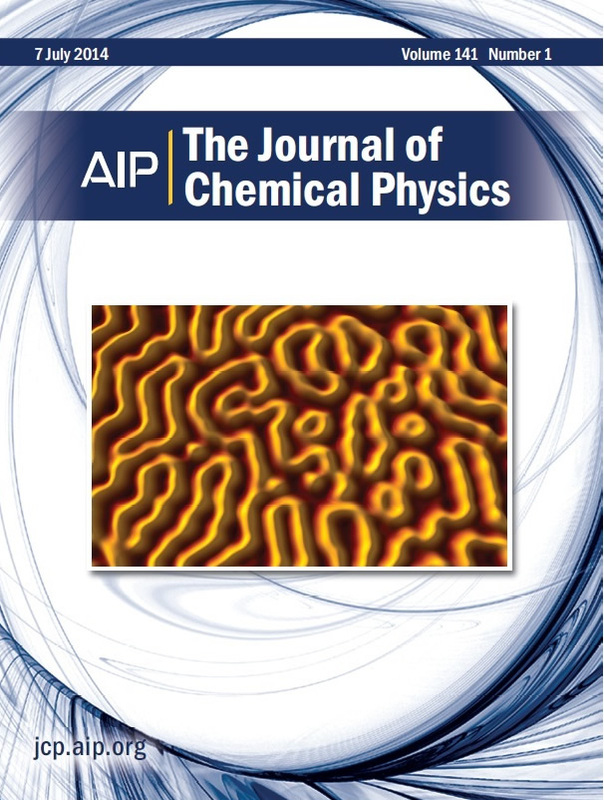 A. McGuire, A. D. Jewell, T. J. Lawton, C. J. Murphy, E. A. Lewis, E. C. H. Sykes, Hydrogen Bonding and Chirality in Functionalized Thioether Self-Assembly, Journal of Physical Chemistry C, 2012, 116, 14992. G. Kyriakou, M. B. Boucher, A. D. Jewell, E. A. Lewis, T. J. Lawton, A. E. Baber, H. L. Tierney, M. Flytzani-Stephanopoulos, E. C. H. Sykes, Isolated Metal Atom Geometries as a Strategy for Selective Heterogeneous Hydrogenations, Science, 2012, 335, 1209. E. A. Lewis, A. D. Jewell, G. Kyriakou, E. C. H Sykes, Rediscovering Cobalt’s Surface Chemistry, Physical Chemistry Chemical Physics, 2012, 14, 7215. E. A. Lewis, I. Kendrick, Q. Jia, C. Grice, C. U. Segre, E. S. Smotkin, Operando X-Ray Absorption and Infrared Fuel Cell Spectroscopy, Electrochimica Acta, 2011, 56, 8827. E. A. Lewis, C. U. Segre, E. S. Smotkin, Embedded Cluster Delta-XANES Modeling of Adsorption Processes on Pt, Electrochimica Acta, 2009, 54, 7181. Q. Jia, E. A. Lewis, C. Grice, E. S. Smotkin, C. U. Segre, In Situ XAFS Studies of the Oxygen Reduction Reaction on Carbon Supported Pt and PtNi (1:1) Catalysts, Journal of Physics: Conference Series, 2009, 190, 012157. Z.-B. Wang, H. Rivera, X.-P. Wang, H.-X. Zhang, P.-X. Feng, E. A. Lewis, E. S. Smotkin, Catalyst Failure Analysis of a Direct Methanol Fuel Cell Membrane Electrode Assembly, Journal of Power Sources, 2008, 177, 386.